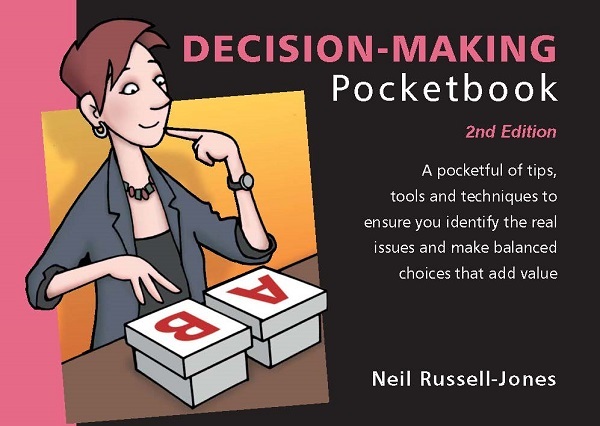 The Decision-making Pocketbook explains how to make balanced choices that address needs and the real issues, choices that minimise risks and add value. It covers everything you need to know on the subject of decisions, from understanding the key components of a decision to a framework for decision-making with methodologies and case studies. It also looks at the differences between individual decision-making and reaching consensus within a team. Techniques to help you analyse the risks, identify possible outcomes and make informed decisions are described. One reader remarked: ‘A pragmatic approach, showing how to ensure management by design rather than chance’.